Apple Watch is a wrist computer, fitness and a health tracker, a remote control, a notification system, a communicator — all in one. Apple watches sales estimates to put over 25 million Apple watches which makes it the most successful wearable device in the history. Topping the rolex in September 2017, it became the number one watch manufacturer in the world. It is the most exclusive smart-watch developed by Apple and it comes in 4 variants like Apple Watch Sport, Apple Watch, Apple Watch Hermès, and Apple Watch Edition. The apple watch is connected to iPhone through Bluetooth which enable it to perform its advanced actions. With the increase in the rise of Apple watch users, it has increased the demands for the Apple watch development in the business world. Apple Watch Series 3 GPS + Cellular offers all the latest, supreme features, which includes a bright display; it has LTE access for sending messages, using Siri, finding your way, and more; GPS is there for route tracking; and swim- proofing for the daily water workouts and play. Why build Apple Watch App? 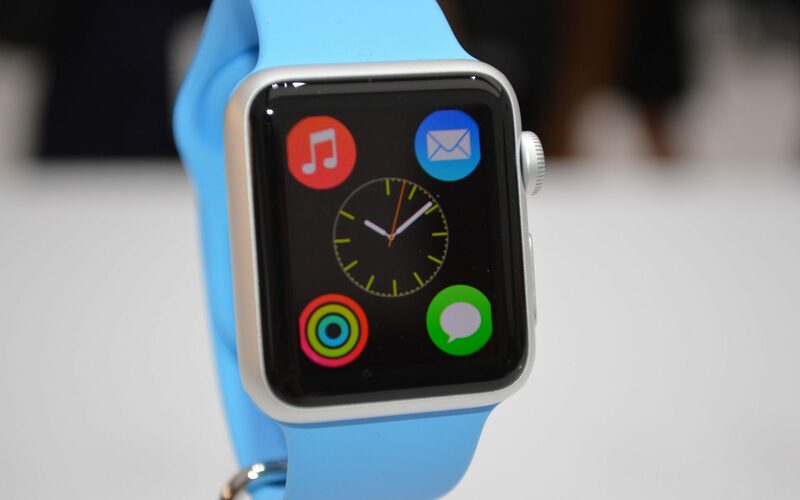 With the rapid sales of Apple Watches, demand for Apple Watch apps is rising. Apple Watch comes with pre-installed apps. If you want to download more apps, then you can download them from Apple App Store. You can manage you watch with the help of IPhone which is synchronized to the watch using Bluetooth. An Apple Watch user can open their email account, read important messages, track location, make a call, respond to the notifications, make calendar Appointments, check your health parameters etc. Whether it is enriching customer experience, enhancing workforce efficiency, simplifying the business tasks and operations, Apple Watch is helping the businesses in every possible way. Apple Watch is a wrist computer, fitness and a health tracker, a remote control, a notification system, a communicator — all in one. Apple watches sales estimates to put over 25 million Apple watches which makes it the most successful wearable device in the history. Topping the rolex in September 2017, it became the number one watch manufacturer in the world. It is the most exclusive smart-watch developed by Apple and it comes in 4 variants like Apple Watch Sport, Apple Watch, Apple Watch Hermès, and Apple Watch Edition. The apple watch is connected to IPhone through Bluetooth which enable it to perform its advanced actions. With the increase in the rise of Apple watch users, it has increased the demands for the Apple watch development in the business world. Apple Watch Series 3 GPS + Cellular offers all the latest, supreme features, which includes a bright display; it has LTE access for sending messages, using Siri, finding your way, and more; GPS is there for route tracking; and swim- proofing for the daily water workouts and play. Why build Apple Watch App? With the rapid sales of Apple Watches, demand for Apple Watch apps is rising. Apple Watch comes with pre-installed apps. If you want to download more apps, then you can download them from Apple App Store. You can manage you watch with the help of IPhone which is synchronized to the watch using Bluetooth. An Apple Watch user can open their email account, read important messages, track location, make a call, respond to the notifications, make calendar Appointments, check your health parameters etc. Whether it is enriching customer experience, enhancing workforce efficiency, simplifying the business tasks and operations, Apple Watch is helping the businesses in every possible way. Winklix– Apple Watch App Developer We at Winklix are an Apple watch app development company. We clearly understand the requirement of our clients in the business. You are welcome to come to us with all of your queries and concerns regarding Apple watch app development and we will make sure that all your problems are resolved and we will help you to build a dynamic Apple Watch App. We have a talented team of developers who will help you in building your app from the very first step to the last step. We make sure that the app is completed within the delivery time of the app.